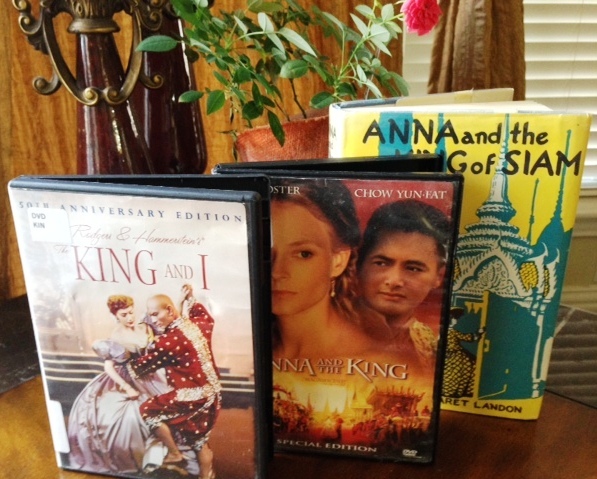 I recently watched two movies The King and I and Anna and the King back to back and then, for a lark, re-read the nonfiction book Anna and the King of Siam written by Margaret Landon. This is my favorite snippet from The King and I.
Louis (Anna’s six-year-old son): Doesn’t anything ever frighten you, Mother? Louis: What do you do? Anna: I whistle. Whenever I feel afraid, I hold my head erect and whistle a happy tune so no one will suspect I’m afraid. Not a bad idea! I would love to adopt this trick myself, but then I’d have to learn to whistle first. The two movies and the book are based on the real life events of Anna Leonowens (a British woman) who spent five years as a governess/teacher in the court of King Mongkut in the Thailand (Siam) of the 1860s. It was a turbulent time in Thailand’s history, with the British, French and Burmese sniffing at it from all sides. King Mongkut hired Anna to lead his considerably large royal brood—including his heir apparent, Prince Chulalongkorn, who incidentally went on to become Thailand’s most popular and progressive ruler and accredited many of his principles to the foundation that Anna had laid through her teaching—into the modern world. Margaret Landon, author of the book Anna and the King of Siam, writes of Anna’s first impression of the king: “How revolting to be dependent for one’s innocent desires upon the caprice of this withered grasshopper of a King!” However, as she works closely with the king in translating and writing his English and French correspondence, Anna begins to respect his extraordinary intelligence and keenness of mind. Coming to the two movies, The King and I was released in 1956. As the name suggests, this movie solely focuses on the relationship between Anna and the king and relegates the rest of the rich tapestry of incidents to the backdrop. Perhaps as suited for the times, this movie shies away from depicting any ugliness, including the fickleness of the king’s character and the inhumane concubinage and slavery that was rampant in Siam. Yul Brynner, actor and noted Broadway star, plays the king in the movie as if he’s still on stage. He’s loud and gimmicky to the point that he makes the king look like a caricature and sound like a fool. (Also, his king is no withered grasshopper; rather he is buffed up and athletic, and his costume makes sure we notice.) All the actors in the movie speak in loud overtones as if to make up for their lack of knowledge of the customs of Siam. Perhaps it has somewhat to do with the fact that it’s a musical. Still, Yul Brynner and Deborah Kerr (who plays Anna) make it work, and you come away from the movie with a light spirit, if not especially instructed in the culture of Siam. The second movie Anna and the King, starring Jodie Foster and Chow Yun-Fat, was released in 1999. This movie is on the opposite end of the spectrum in its sensibilities from The King and I. Far from being averse to harshness and brutality, this version seems to anchor the story in them. The movie begins with a gruesome scene with several dead bodies hanging from a tree—the director’s way of depicting the political unrest between Siam and a British-backed Burma. Jodie Foster, with her stiff body language, makes Anna remote and aloof to me, while Chow Yun-Fat takes King Mongkut to the other extreme. With his characteristic genteel demeanor, Yun-Fat turns King Mongkut into a gentle giant of a man as opposed to the mercurial autocrat that he was. This movie, however, makes a better effort at explaining the Eastern philosophy and putting some of the spotlight on Anna’s relationship with the various royal children and concubines. A single point the two movies share (and hence stray as far as possible from the real life events they’re based on) is: they are both love stories at their core. Say what? Nowhere in the book does Anna say that she has developed any feelings for the king but frustration, irritation and many times a grudging respect. 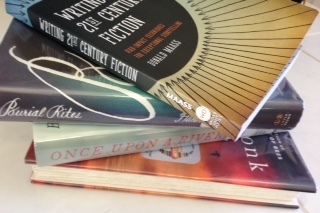 So, why, oh, why should both the movies twist the plot into an unfulfilled love story? Because that’s what Hollywood does best. Sigh! As the last frame rolled away, I was yet again reminded that how a movie shapes up is subject to the past and present life experiences of the director and the actors assaying the roles. When we watch a movie, we’re stepping for the duration of it into the director’s private chamber upon his/her invitation. And what each of us takes out of that visit, again, depends on our own point of view as a viewer.